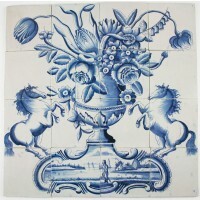 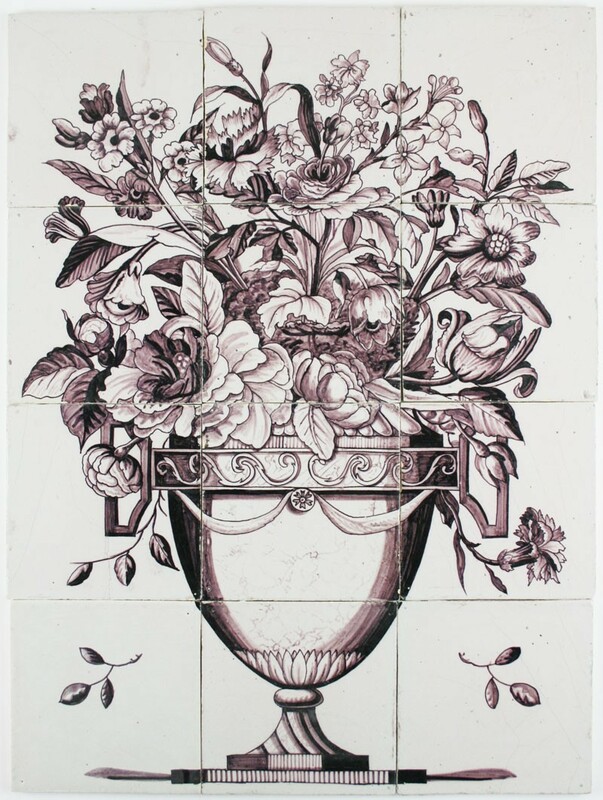 Wonderful manganese antique Dutch Delft tile mural on 12 tiles depicting an amazing flower pot with the most beautiful flowers. 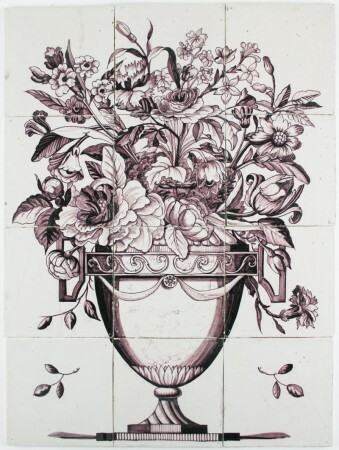 The mural dates from the end of the 18th century and is completely fabricated and painted by hand. 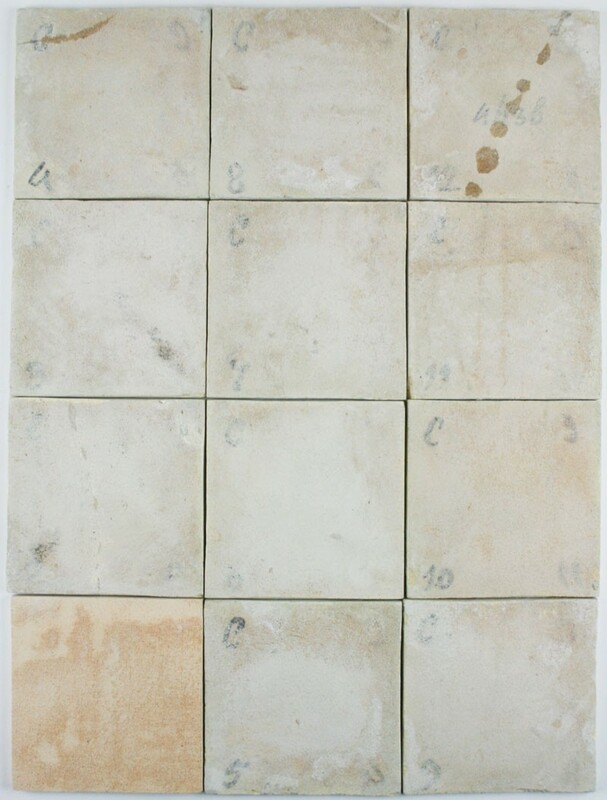 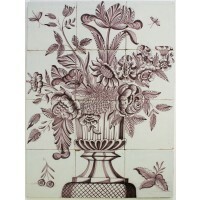 Great to use for restoration or interior design projects, for example as a kitchen backsplash.